Twenty four years after the Genocide, the Rwandan community is slowly graduating from the anguish of the 1994 Genocide against the Tutsi in which more than a million Tutsi were killed in a hundred days. Testimonies are being recorded, and scenes recreated to keep history for the future generations and for those who need to know the truth for the purpose of research. 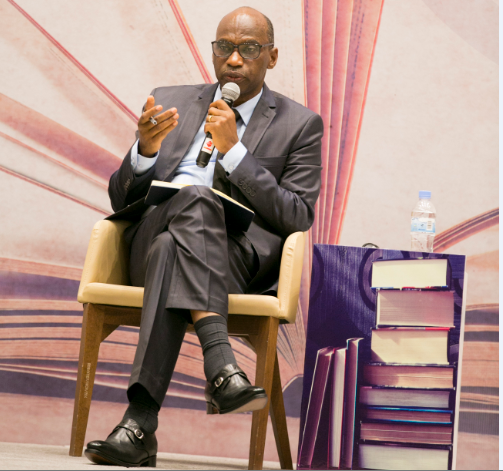 While songs were the first literature works after the genocide, a new kind of literature by Rwandans is taking shape with several books on Genocide by Rwandans being published. 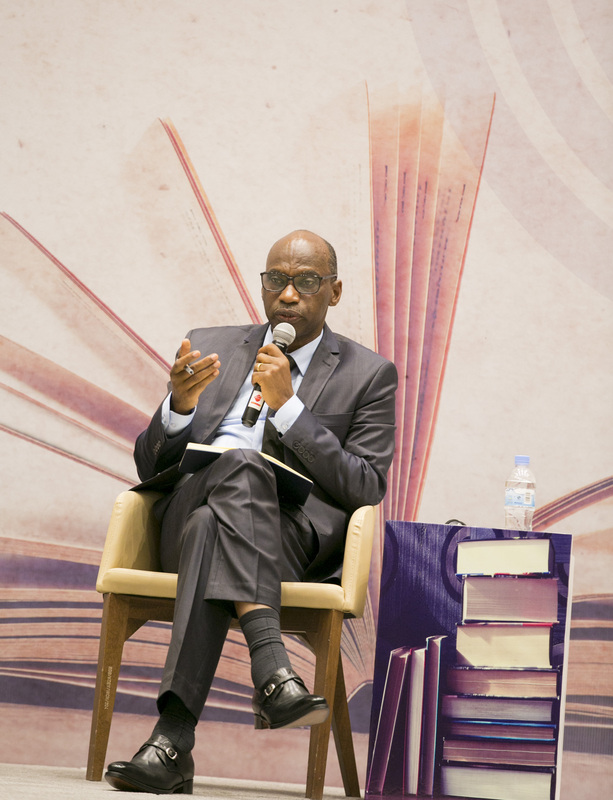 The books appeal to fellow Rwandans and the world as a whole. More creatively, the film industry is following suit, and so is visual arts. Despite being at toddler stage, the local movie industry has been able to create scenes of the genocide against Tutsi. Kwetu Film Institute, founded by Eric Kabera, one of the pioneer film directors has taken the lead in local film and documentary making on stories of genocide as told by the community which saw the genocide take place and was affected. Kwetu profile of films on the genocide subject now stands at six documentaries with running time between 25mins and one hour and 15 minutes for the shortest and longest. “We are credited to have produced the first feature film on the 1994 Genocide against the Tutsi in Rwanda, the film 100 DAYS that came out before Hotel Rwanda,” Kabera said. Other Kwetu productions include: Keepers of Memories, Through My Eyes, We are All Rwandans, Iseta and Intore. At least three new documentary films were produced last year giving a balance in taste and view amidst a growing interest in foreign producers especially coming from Europe. In fact, from 2013, Rwanda saw ‘new blood’ coming into the genocide film domain, with the likes of Gasigwa’s ‘Izingiro Ry’amahoro’ documentary on genocide-that scooped this year’s award for the ‘Best Documentary’ in the Rwanda Movie Awards. With many of these documentaries expected to be auditioned this year, such as ‘The Miracle and the Family’ by Gasigwa set to be launched this June, the battle against genocide denial has been taken beyond songs, art works and verbal testimonies; where Rwandans had earlier on ventured. Peter Kigabe, a film producer in Ruhango district says he intends to ‘clean’ the image of Rwanda against the controversial “Rwanda: the untold story’ documentary film produced by British Broadcasting Corporation (BBC) in October 2014. “This film will be able to negate the untrue stories about Rwanda and the conflicts these films have caused for Rwanda and the rest of the world,” Kigabe said. Rwandan visual image producers believe that through these messages they will be able to teach the world what exactly happened in Rwanda in the 100 days thus fight genocide ideology which persists in France, regional countries like Burundi and DR Congo. While documentary films have come as a new twist of art in the fight of genocide ideology, some local producers of genocide related movies have faced serious challenges of raising funds as it is clear that a single documentary takes at least three to four years to complete. Depending on the genre, logistics, crews of the documentary, it costs about $22,000 to $1million to produce a documentary in Rwanda, which most Rwandans cannot afford from their pockets. They turn to donor communities, NGO’s to sell the project idea for funding. Kabera has been lucky to receive 10 percent of the $100,000 (plus institution support) from the ministry of sports and culture, which he used to produce Rwanda’s premier documentary film on genocide- ‘100 days’ which was released at the 10th commemoration. 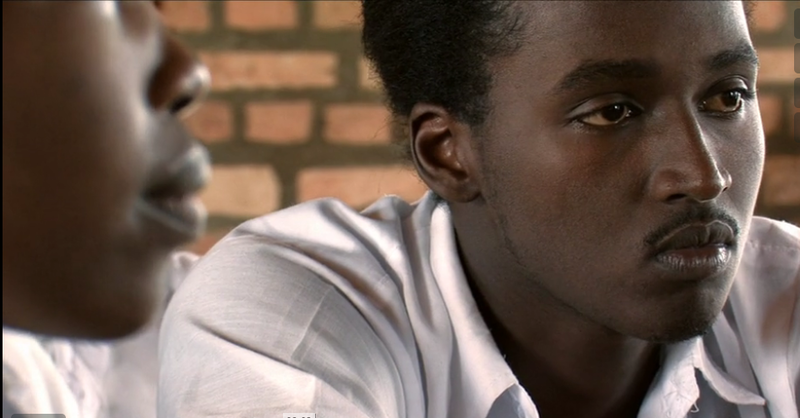 But for Joel Karekezi, a local Rwandan film producer, behind “Imbabazi” (The Pardon) a fiction documentary was forced to produce his $22,000 piece in Uganda, where he even had to do post-production in New York. For local producers like Kabera, the concern at hand is to create awareness, educate and reshape the image of the country, even when they too have to continue begging for funding from the international organizations. “We have to tell our own story even when the capacity is limited. There has been an increasing appetite for the local version and at the international levels, many people appreciate the level of interpretation, and presentation with integrity,” Kabera told KT Press. Kabera argues that Rwanda has got a long way, but compared to the last 15 years, the already built foundation in the documentary film industry needs to be fully backed by a solid fund at the national level to? turn existing institutions like Kwetu into centers of excellence in this field. With little or less inclination to the culture of writing in Rwanda, the genocide stories have mostly been documented in books by foreign writers most of them journalists and renown authors. 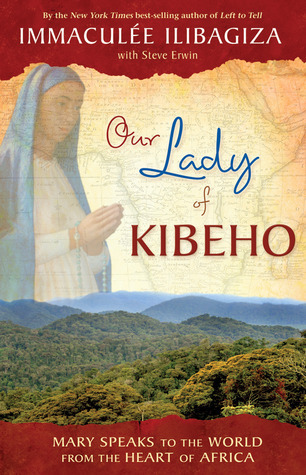 Only few books are authored by Rwandans with Immaculée Ilibagiza standing out with many editions on genocide – such as: ‘Our Lady of Kibeho: Mary Speaks to the World from the Heart of Africa’ and ‘Led by Faith: Rising from the Ashes of the Rwandan Genocide’. Ilibagiza writes from her hand on experience as a genocide survivor at the age of 23 encountering with genocide that whipped her entire family but has also managed to meet killers (now in prison) who did so. “Life Is a Gift, So Choose Love” she said in one the interviews earlier. Books written by other Rwandans include: ‘Rwanda Means the Universe: A Native’s Memoir of Blood and Bloodlines’ by Louise Mushikiwabo and Jack Kramer which took both seven years to compile. Now Rwanda’s Foreign Affairs Minister, Mushikiwabo is a sister of a prominent Rwandan politician and businessman, Landuard ‘Lando’ Ndasingwa who was killed by genocidal government on 7th April 1994. Years earlier, her brother Lando wrote her a letter she never got until later. Urged on by it, she rummages into their childhood farm, and into family corners alternately dark, loving, and humorous. She searches for stray momentous of the lost, then for their roots. What she finds is that and more hints, roots, of the 1994 crime that killed her family. Her narrative takes the reader on a journey from the days the world and Rwanda discovered each other back to colonial period when pseudoscientific ideas about race put the nation on a highway bound for the 1994 genocide. Other books include ‘The Bishop of Rwanda: Finding Forgiveness Amidst a Pile of Bones’ by Bishop John Rucyahana, ‘Our Lady of the Nile’ by Scholastique Mukasonga, ‘Tested to the Limit: A Genocide Survivor’s Story of Pain, Resilience and Hope, ‘Génocidé by Reverien Rurangwa, ‘My Father, Maker of the Trees: How I Survived the Rwandan Genocide’ by Eric Irivuzumugabe, Tracey D. Lawrence, ‘God Sleeps in Rwanda: A Journey of Transformation by Joseph Sebarenzi. Rurangwa has a touching story. He was left for dead after all 43 members of his family were slaughtered in Rwanda. He proudly wears his scars not with pride, but without apology either. Dr Daniel Nyamwasa, aothor of “Le MalRwandais”, at the Kwibuka 24 Cafe Litteraire. Latest in this series could be Le Mal Rwandais by Daniel Nyamwasa, a senior police officer with Rwanda National Police. Nyamwasa, a medical doctor wrote the testimony on how his family left the country to Burundi and how the ruling power negated them to return to the homeland. While on duty as a medical doctor, he continued to write manuscripts on that anguish until he joined the Rwanda Patriotic Front on the battlefront. Meanwhile, the National Commission for Fight against the Genocide (CNLG) has put in place a fund to support authors in the area of the Genocide literature.